Located in Bardez, Ligacao provides a garden. All rooms boast a kitchen and a private bathroom. Guests can make use of a shared lounge. 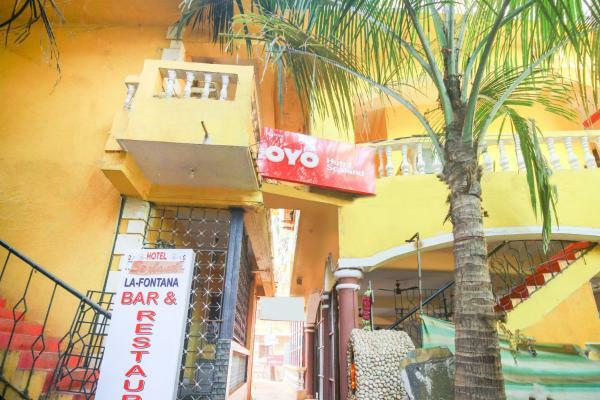 OYO Rooms Titos Lane Baga is located in Bardez, 1.8 km from Calangute and 10 km from Panaji. 1 BR Houseboat in siolim, by GuestHouser (A7CA) is located in Bardez. Situated in Siolim, Bardez, 9 km from Calangute Beach, Amber Gardens - Tranquil and Charming Apartment features an outdoor pool and year-round outdoor pool. Panaji is 15 km from the property. Featuring free Wi-Fi, Nancy's Nest offers accommodation in Bardez. Located in Bardez, Riverview Guest House features a bar. Guests can make use of on-site dining. Featuring free Wi-Fi and air conditioning, Roy And Ron Holiday Home is situated in Bardez, 13 km from Calangute. Panaji is 16 km away. Free private parking is available on site. Scapes Villa Amor is situated in Bardez. Complimentary Wi-Fi is offered. Unique rooms in the heart of Baga beach offers free Wi-Fi and rooms with air conditioning in Bardez. Boasting a 24-hour front desk, this property also provides guests with a restaurant. Guests can make use of a bar.